Please bookmark my new blog address!! All new freebies & stuff will be posted there from now on!! 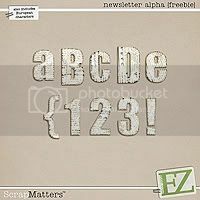 Signup to receive special discounts and cool EZ stuff...plus you get this alpha FREE! Blog design created by Stolen Moments, using my kit, Cute Lil' Kaylee. Font is Pea MissStaker by Kevin & Amanda.